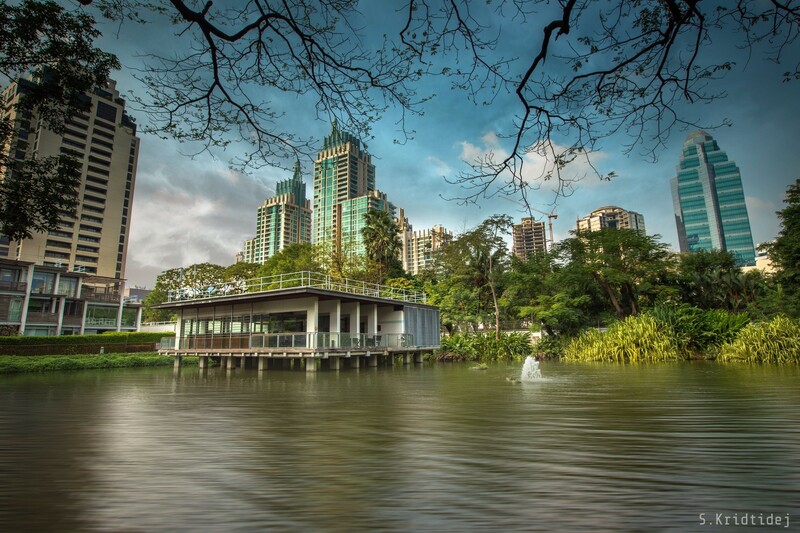 The British Embassy Bangkok is truly one of the most spectacular British properties overseas. The 43,922 square metres of land accommodates the Ambassador’s residence, 2 monuments, offices, staff living quarters, tennis courts, a swimming pool, greenery and a private pond. In the heart of Thailand’s luxury retail district, it contrasts with other tall structures. 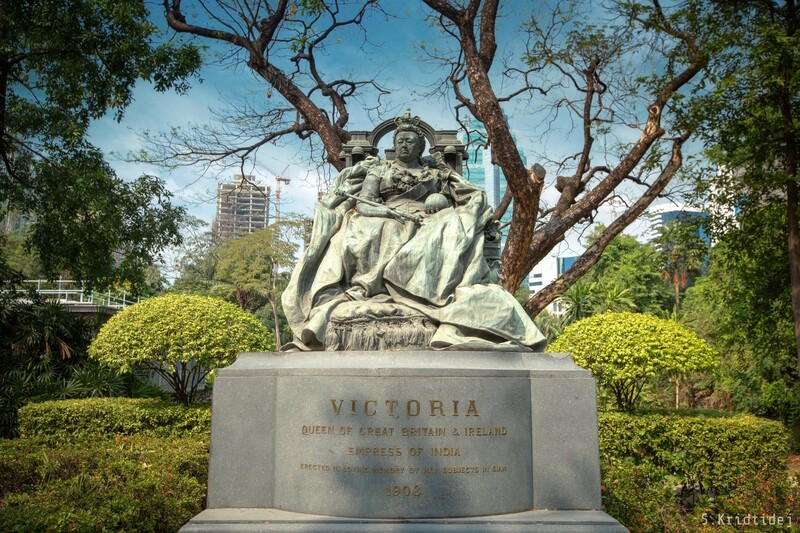 It is a symbol of soft power from the colonial era in the midst of the modern day quest for economic development. In January 2018, the Foreign and Commonwealth Office (FCO) announced its sale for £420 million, the biggest land deal ever for the FCO up to the time of this publication. This year the Embassy will relocate to a modern office space, in the same fashion as many of its foreign counterparts whose governments also decided that it is the right time to realise their return on investments. 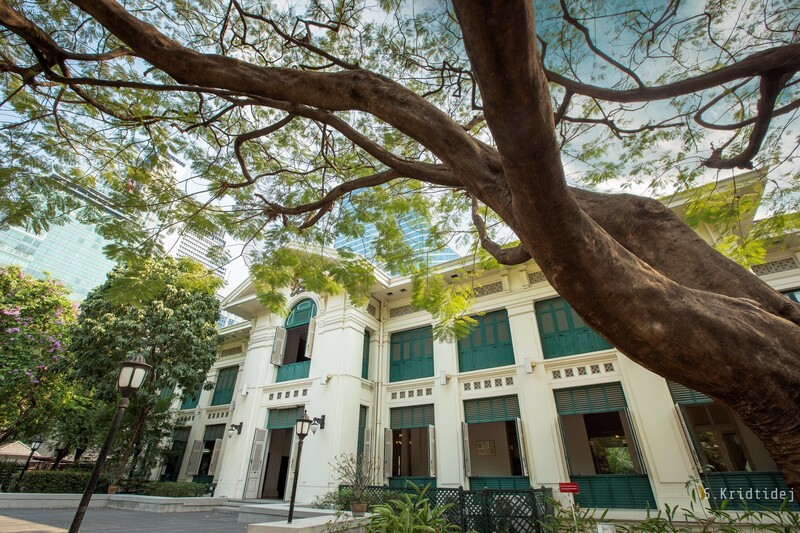 But before we move on to the future of shiny furnishings and newly painted walls, we look back at the (soon to be) old British Embassy Bangkok and its remnants of the past. The British Embassy Bangkok, March 2019 (courtesy of Kridtidej Sawangcharoen). 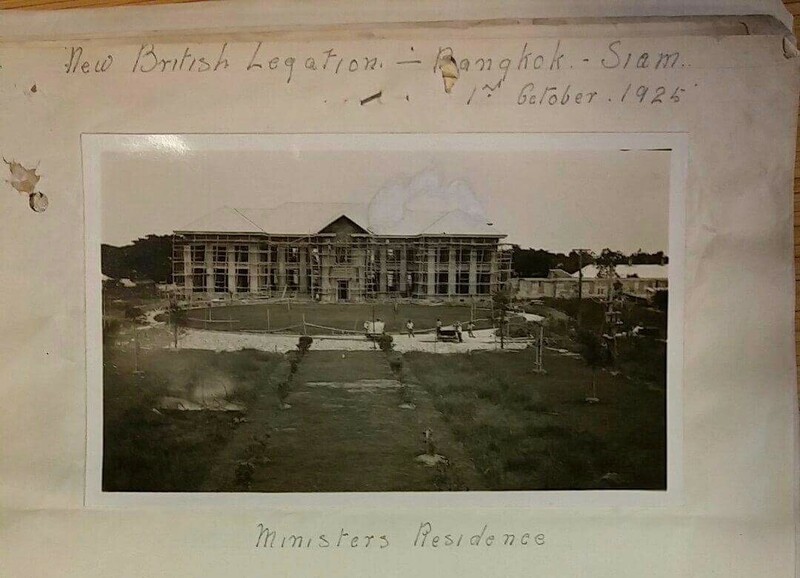 According to the memoirs of Sir Ernest Mason Satow, the Minister Resident and Consul General to the Kingdom of Siam from 1885 to 1889, the site of first British consulate in Bangrak district was given to Her late Majesty’s Government as ‘atonement for insult’ after a staff member of the consulate was beaten to death. The consulate status was raised to a legation in 1895, and in 1925 the legation moved to the current site in Ploenjit just under 4 miles from Bangrak district. The building cost of 1,058,000 Ticals (approximately £61,7602) plus 40,000 Ticals (£2,335) for the acquisition of a pond was partly met by the proceeds from the sale of the old site by the river. The British subjects in Siam had an important role in shaping an initiative which became an object of great admiration until this day. In August 1901, they raised a sum of 21,838 Ticals (approximately £1,275), of which the Chinese-British subjects were the largest subscribers, to erect a memorial to Her Late Majesty Queen Victoria3. When William J Archer, the Counsellor of Legation, wrote to inform the Marquess of Lansdowne of this proposal, he also included his views that permission should be granted to erect the memorial in the Legation grounds because there was no other place fitting for it in Bangkok. The bronze statue is 14 feet high, 30 feet at its widest point, weighs around 2 tonnes and is the work of Sir Alfred Gilbert, the sculptor of the Shaftesbury Memorial Fountain in Piccadilly Circus. The monument is a reproduction of the one in Winchester Castle. There are 3 statues cast from the same mould, another is in Newcastle. In May 1903, the Times reprinted a report from the Bangkok Times, sent by a staff of the Siamese Legation, on an account of the unveiling ceremony which took place at 5:15pm on 23 March 1903: "The Crown Prince [Vajiravudh] then drew the cord, everyone rose, the officers present in uniform saluted, the civilians uncovered, and the flag slipped aside, revealing the bronze statue of the Queen, represented as seated upon a throne, crowned, bearing sceptre and orb, and arrayed in the robes of State". Later in 1962, Edward Muir, a British Diplomat, documented a local story about the memorial during World War 2 when Siam4 acceded to Japanese demands for passage through the country to invade Burma and Malaya in December 1941. It was said that the Japanese 'bricked this statue in but left a slit opposite Queen Victoria’s eyes so that she could see out'. Back in June 1919, the British community in Siam also proposed to erect another memorial in honour of the British subjects from Siam who had fallen in the war. Correspondence in the archive suggests that great care was taken to minimise the environmental impact even before the final decision was made on the design of the memorial. Sir Herbert Dering, His late Majesty’s Ambassador to Siam, wrote in his memorandum to the Foreign Office, “The memorial is planned to stand exactly opposite a very fine old tree (known as the Sacred Bô tree) of which the roots are wide spreading. … Any disturbance of its roots is in every way undesirable, and would probably bring about its fall. The memorial would require a certain depth of foundation; and I should view with distaste any interference with the vitality of the great tree”. The proposal included 3 possible plans for the memorial. The first building legislation which accommodated environmental impact assessment in the United Kingdom did not come into effect until 1947, but British diplomats in the Far East were progressive in their outlook. Both monuments were later moved following the relocation of the embassy in 1926. Today, they stand amid the spreading branches of charming old trees in the embassy compound. Another notable feature of the current embassy compound worth mentioning is the pond, acquired from Nai Lert about 10 months after the main building contract was finalised. It includes 5,080 square metres of water and 2,480 square metres of land. Almost a century later, the valuation of the compound at £420 million proved his judgement outstanding in every respect. The proceeds from the sale of the compound will be used to relocate the British Embassy in Bangkok this year and improve other British Embassies around the world. Another milestone in British diplomatic endeavour, as we invest in the future while honouring our heritage through reminiscence. 4. Thailand underwent name changes twice. The country was initially called ‘Siam’ up to 1939 when it was changed to Thailand, then switched back to ‘Siam’ from 1946 to 1948 before calling itself ‘Thailand’ again. For the purpose of continuity, the authors decide to use the name ‘Siam’ throughout this article.